From Inspiration To Imagination… Insight To Ingenious. 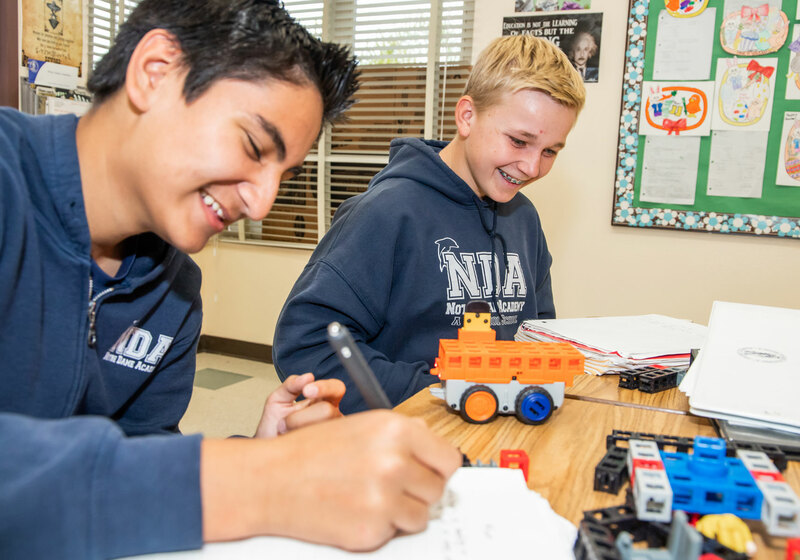 We are one of San Diego's most respected schools where critical thinking is used and taught through innovation and design. We approach STEAM much differently than most schools; we feel it is more effective to integrate science, technology, etc . into one class. 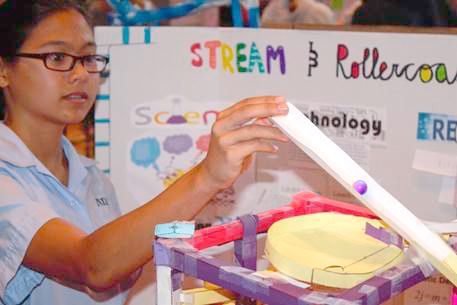 We are proud to have some of the highest test scores for STEAM education in North County. 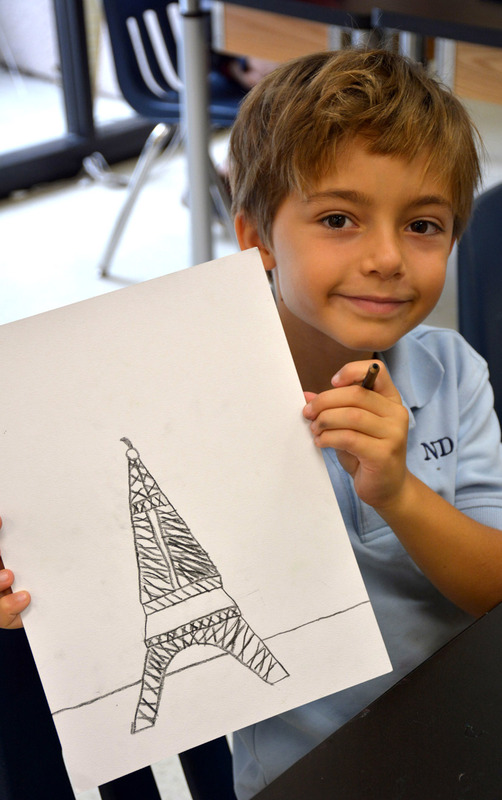 A special emphasis is placed on STEAM learning and is integrated into a private Catholic education. 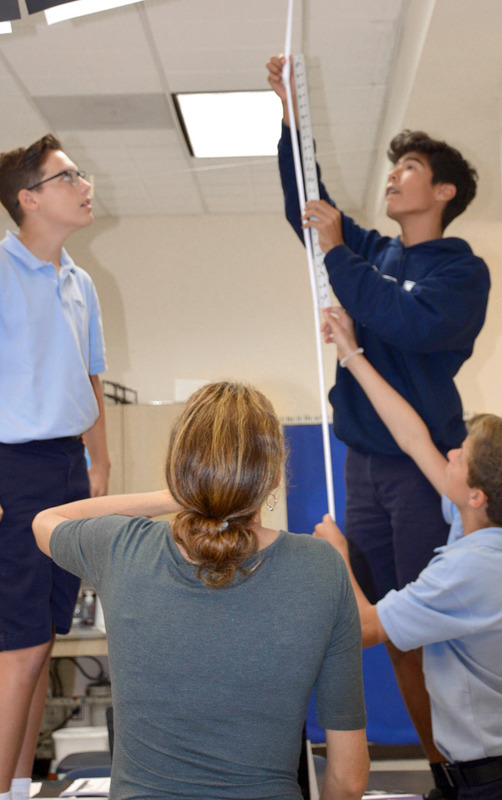 STEAM learning begins early at NDA, starting with basic science, engineering, art and math, while technology is incorporated through a set of iPads provided for every class and are used daily. 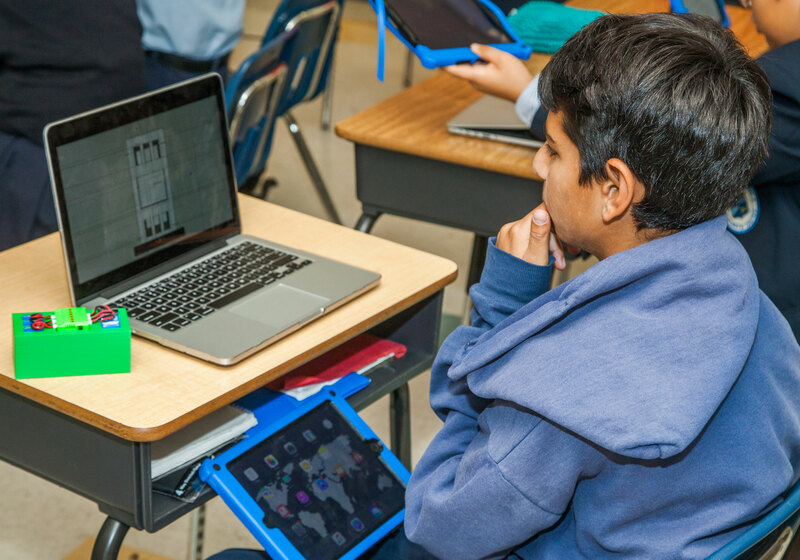 At the Middle School level, every student is provided with an iPad for in school and at home class work. Integrating religious traditions and progressive academics for a balanced learning experience. 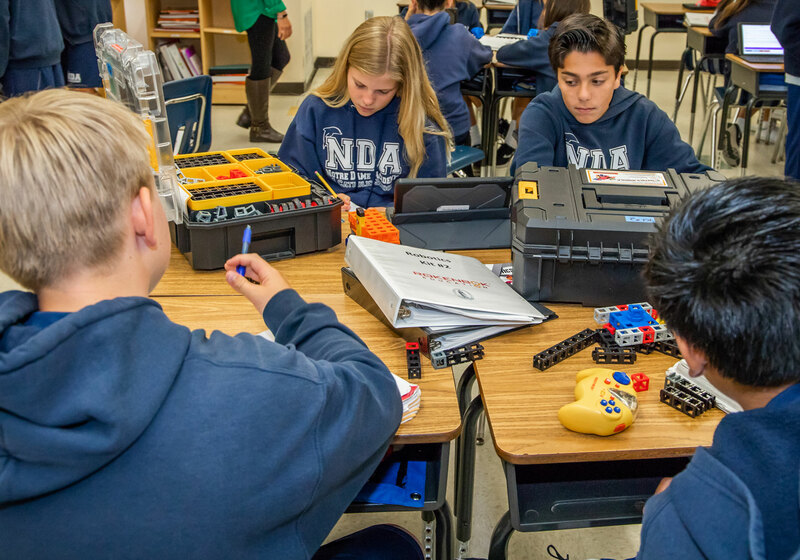 At NDA we’re committed to setting new standards for exceptional education through technological advances combined with innovative teaching techniques. Setting New Standards For An Exceptional Education. 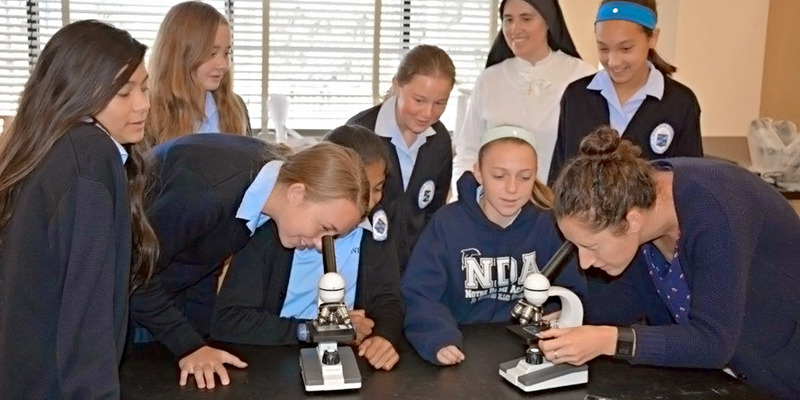 STEAM education is done in a unique way at NDA. To show students the relation between all five subjects, we implement the curriculum by project. This allows them to obtain, evaluate, and communicate information by using their own logical discoveries. The Middle School physics, science, technology, research/design, engineering, and mathematics behind America’s favorite ride: the Rollercoaster! 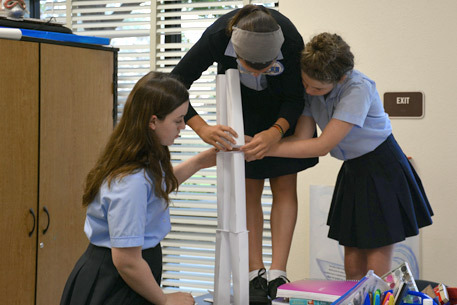 All of the rollercoasters were designed and built by middle school students. There were many different themes and sizes but all used the same material–Paper! 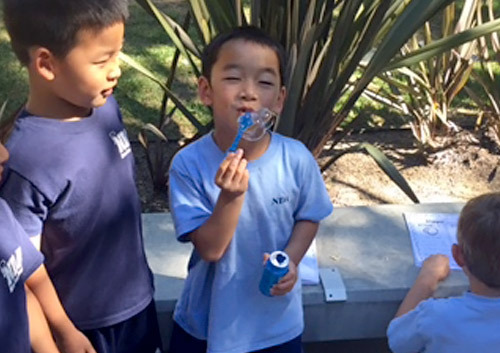 Students were learning about the 3 states of matter- solids, liquids, and gas. Their bubbles were 2 of the states. 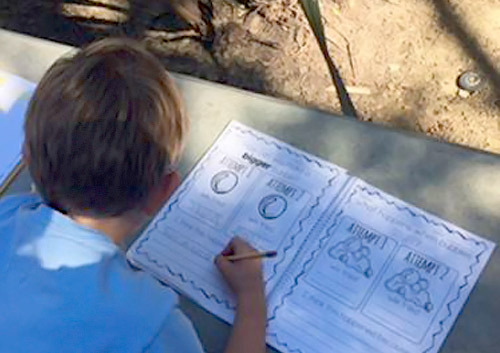 Students used their discovery journals to hypothesize and document what factors might change the size and number of bubbles. They recorded their findings in the journals. Mousetrap racers were a lesson in simple machines, acceleration, velocity, speed, force, momentum. They were to engineer a vehicle that relied on potential and kinetic energy of the mouse trap's spring. Same physics properties were used in the making of the airplanes which were made from Bolsa wood, Styrofoam, rubber bands and paper clips. 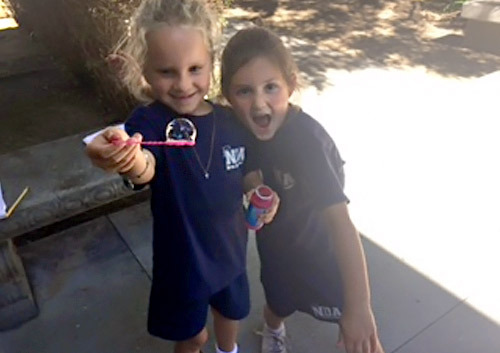 "“During the last 11 years our three children have been blessed to be a part of the NDA family and all consider NDA to be their home away from home. The fact that the school is led by the Sisters of L’Union-Chrétienne de Saint Chaumond has provided our children with a unique experience in which the Sisters and teaching staff strive to challenge them academically, and expose them to various languages, all the while strengthening their Catholic Faith and character development”"
"At NDA, we sincerely feel we are part of a larger family! 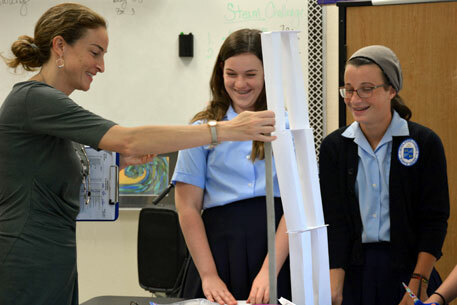 In addition to the Catholic education with the lovely Sisters that help create a strong moral foundation for our kids, we love that the teachers and staff care about not only educating our kids scholastically, but are also sincerely intent on motivating our kids to be the best version of themselves in a variety of important ways, such as socially and benevolently." "NDA is not just a school, it’s a place to grow and experience the world around you with not just your classmates, but with your “family” that has good Catholic values instilled in them." "NDA is my second family, a community where I have developed lifelong friendships and learned invaluable lessons from mentors that will forever guide me into my future endeavors." "We chose NDA because of its French program. Little did we know that we were picking a home away from home. 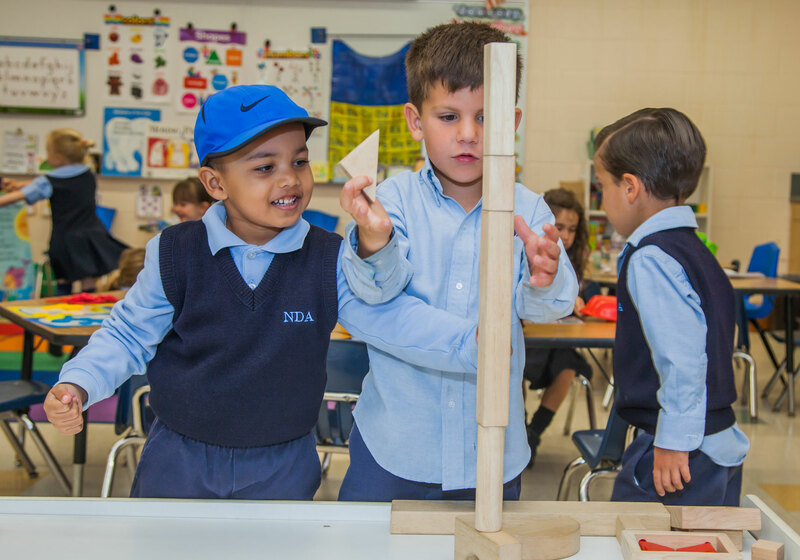 Dedicated teachers and staff, a strong academic program, a safe environment, and a close group of friends make NDA a great school! " FROM SOUTH: Get on CA-163 N and take I-5 N to Carmel Country Rd. Take exit 2 from CA-56 E17 min (18.1 mi). Drive to Del Mar Trails Rd. FROM NORTH: Take I-5 S and Carmel Creek Rd to Del Mar Trails Rd. Copyright © 2019 Notre Dame Academy. All Rights Reserved. Please schedule a private tour for more information. Welcome to Notre Dame Academy. We will be hosting games for the next 8 weeks and we want to make sure that you have the best experience possible. The following is useful information that will ensure that. Please park in the lot, and enter the school on foot. Please make sure that no food or drink except for water is introduced beyond the gates of the field. Parents, please remain in the stands during the games. Canopies may be set up only in the main blacktop area above the soccer field. Please no animals on campus. Remember to let the Refs ref, the Coaches coach, and most importantly, the players play.